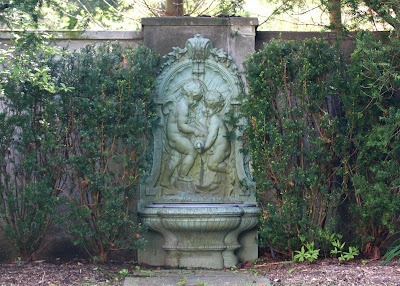 A fountain on the side of 'Next Door', the guest house to W.R. Grace Jr.'s 'Crossroads' in Old Westbury. What a delightful site. You really spotlight some of the island's treasures! And you're right -- these are places that should be preserved. So many people think LI is just shopping malls but these properties really show our history.